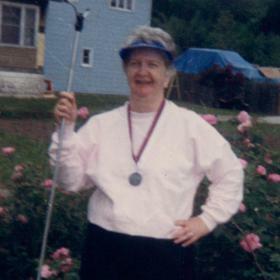 LyVerl Cornelia Porter, age 98, passed away Tuesday, May 29, 2018. 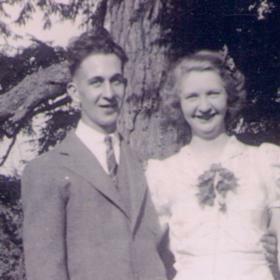 She was born in Shelby, Michigan, on September 22, 1919 to Charles & Zella (Orton) Wade and married Maurice Porter of Stony Lake, MI on August 27, 1938. 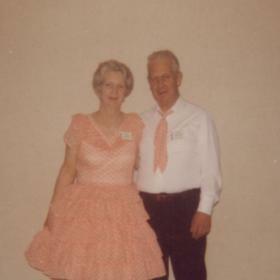 LyVerl was a longtime member of Lakeside United Methodist, TOPS, & Hi Nabors Square Dance. 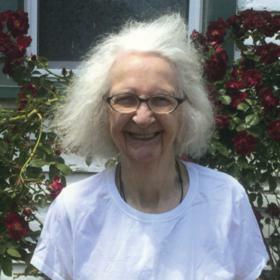 She enjoyed shuffle board at McGraft Park, enjoyed cribbage and other cards games, painting with acrylics, water color, oils, & spending time at Tanglewood. Sons, Phillip (Patricia) Porter of Muskegon, Bradley (Marilyn) Porter of Hillsdale; daughters, Constance Ross of Norton Shores, Mary (Pamela Reiland) Porter of Texas; daughter-in-law, Sally Porter; 9 grand children; 15 great grandchildren and a great-great grand-daughter. 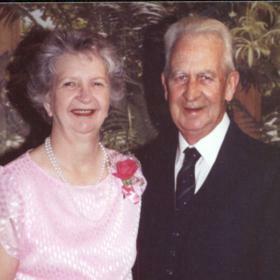 She was preceded in death by husband, Maurice in 1995; son, Richard in 2006; brothers, Albert Charles "Chuck" Wade & LaVerne "Moose" Wade; granddaughter, Roxanne; great grandson, Michael. Saturday, June 2, 2018, 11:00 am with visitation one hour prior at the Clock Chapel - Muskegon with Pastor Gil Boersma officiating. Interment in Benona Township Cemetery. MEMORIAL: Lake Harbor United Methodist Church or a charity of choice.